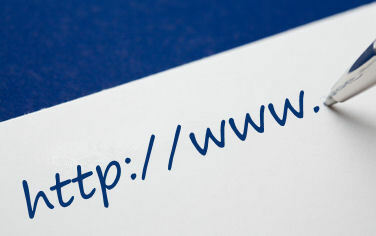 Seems this is an on-going question: What makes a good URL? Both my current and new clients have asked again recently, so we thought a few tips on what to consider for creating good, SEO-friendly URL names for website pages may be of help! Set Standards for URLs – Make sure everyone in an organization sets the URL standards from the start. It’ll make it all a lot easier to manage pages as the site grows or changes and/or new employees play a part. Use Static URL Page Names – Using static, non-dynamically generated, page names is great for everyone – and can help keep URLs nice, clean and focused. Static URLs allows for more flexibility in creating a good name with keywords that clearly identify the page that it names. It makes it easier for the search engines to interpret, rather than the “?” and “=” and “&” scattered in a dynamically generated URL name. It also makes it easier to communicate, is less easily forgotten and/or mis-typed and reads better in the SERPs (Search Engine Results Pages). Go static! Use Lower-Case Letters for Page Names – Using lower-case letters in a page URL name leaves less to be questioned or communicated. The top-level domain name doesn’t matter for upper or lower-case letters, but pages within a domain with different lettering cases can cause duplication of URLs in the search engine indexes. Keep URL Names Short & Concise – If you can, and it makes sense, use keywords in a URL to support and explain the page information that will follow (hopefully, your domain name might have a keyword/s already – but that’s another blog post topic on choosing your domain name). But, also try to keep it short and concise. This will allow more success in varied forms of communicating the page name to others (including in your website) when the full URL might need to be referenced. Parse URL Names with a Dash/Hyphen – If necessary, and there can be a few reasons why, then use a dash (or hyphen) to separate words in a URL name. Underscores are ok, but dashes are better and easier to communicate and see. Hyperlinks can be seen in web pages as underlined, so an underscore may not be as easily seen. Also, it is more common to verbally communicate the word “dash” verses “underscore”. Using a space between words translates into a special set of coding characters of “%20″. Most don’t understand what this is and it wastes space (3 characters) in a URL. As for deciding when to use a break (suggested dash) first consider trying to keep the URL short (as mentioned above), then look at the words together and see if they read “funny”. Our favorite example is in the words “mens” and “exchange” when they are put together: “mensexchange”. It doesn’t read quite the same way, huh?! Play word games with your URL. When you write it out, see what words can be pulled out as the letters are strung together. Another reason to consider having a dash between words is if you might have a base topic with specific, clarification pages to describe that topic. Think of the future of the site and the pages within the site. You might want to separate topics into Directories (another blog post!) or have the page name with a dash for ease in seeing that multiple pages that are being used for a base topic. Bottom line for creating good URL names: think ease in reading, writing, saying and interpreting. ps: Don’t forget a few other items to consider if you are Renaming Existing URLs – a different blog post, but this one’s been written! pps: This blog post doesn’t go into details about how blogging tools (like Word Press, or other CMS type coding platforms) might work differently for URL writing considerations. You should look at Permalink formatting to get the most out of creating a static URL for your blog posts too.